Whether cooking for a crowd or prepping for the week ahead, these sheet pan sandwiches make breakfast, lunch or brinner a breeze. 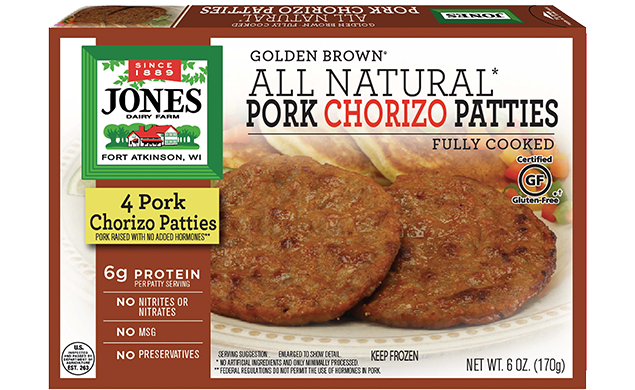 This recipe is made with Jones Golden Brown® Pork Chorizo Patties. Place sausage patties on cookie sheet and bake until lightly brown, turning once. Remove from oven and place on paper towel to drain. Line bottom and sides of sheet pan with parchment paper and coat with nonstick spray. Toss cilantro, green onion and lime together in a small bowl. Reserve 1/3 cup and set aside. Beat eggs until frothy; add salt, pepper, tomatoes, 2 cups of cheese and remaining cilantro mixture. Pour egg mixture into lined sheet pan. Bake 10 minutes then remove from oven. 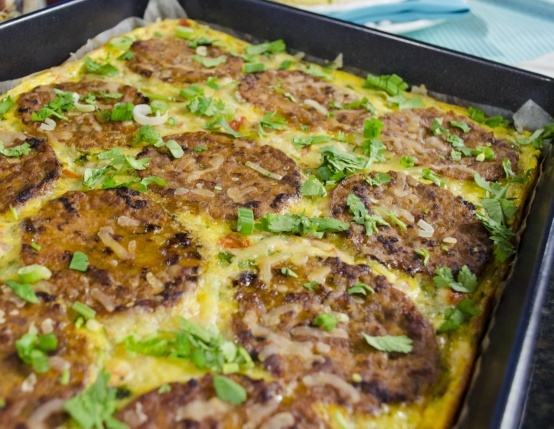 Arrange precooked sausage patties on top of baked eggs. Sprinkle with remaining cheese. Return to oven and continue baking until eggs are cooked throughout. Approximately 10 minutes. Sprinkle the reserved cilantro mixture on top. Cut into 12 equal squares and place on the bread of choice (ciabatta rolls, English muffins, toast, bagels or tortillas). Sandwiches can be wrapped in plastic wrap or foil and refrigerated for up to up to 4 days or frozen for up to 3 months.